How to exploit your opponent’s bad piece? “Help your pieces so they can help you”, said Paul Morphy, one of the greatest chess masters. Indeed, that’s true – you cannot play a chess game without your (active) pieces. 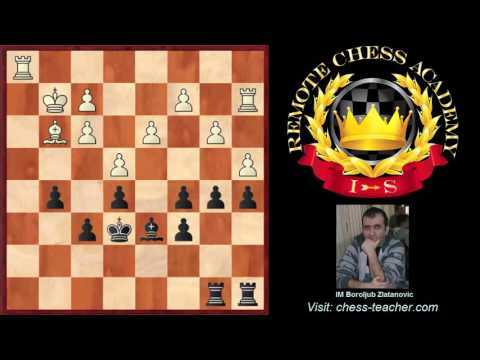 It is essential, as having active pieces is considered a positional advantage. So what happens when your (or your opponent’s) piece is not active but passive? True, this would be a positional disadvantage. Chess players often say that bad pieces are just spectators in the game. Where that bad piece is a bishop, it is considered a big pawn. Worst of all is having a passive piece –that is practically equivalent to a piece down. 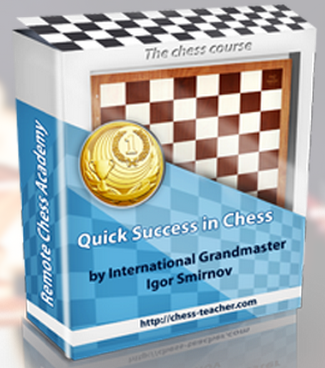 Suggestion: you might like to study how to make use of important chess squares – click here. Today, IM Boroljub Zlatanovic has prepared a video lesson for you on this topic. He will teach you with a game played between the ‘Endgame Master’ José Capablanca and William Winter. In this lesson, you will learn about the disadvantages of having a bad piece, how to exploit it (if your opponent has one) and how trying to improve a bad piece costs time and material … and lots more. 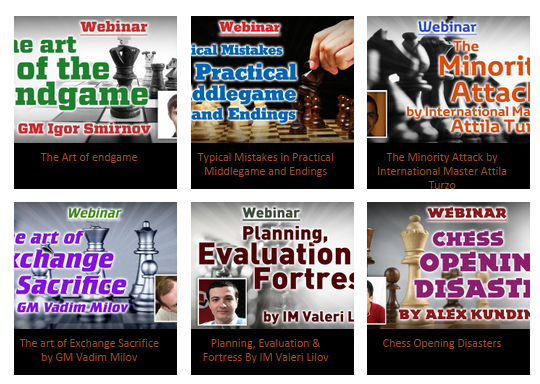 Note: you may also like to study about “Transforming Advantages in Chess” – click here. P.S. Have you ever exploited an opponent’s bad piece(s) and won the game? Let us know about it – please write in the comments below, as I’ll be very happy to read them. Learn to play the endgames like Capablanca! 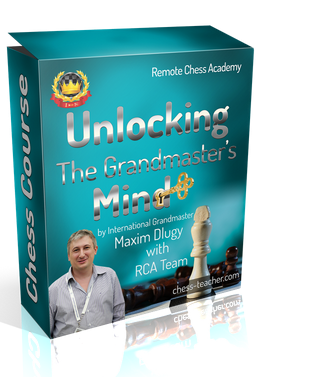 Learn how endgame masters think and how they come to the right moves. Get “Endgame Expert” now – HERE. Opposite-side castling games are usually very exciting. Because both kings are on opposite wings, each player takes this opportunity to create powerful pawn storms against the opposing king. The side with the greater initiative and faster attack will most likely win. You don’t always need to create a powerful pawn storm to win. Sometimes, your pieces are more than enough to overwhelm your opponent and give you victory. Let’s look at some ways in which Black and White can create a powerful attack with their pieces. This is the dream position for a kingside attack. The knight on f6 (or f3 for White) is the best defender on the kingside. This is because it covers many squares there (h7, g4, h5) and blocks the f-file. The pawn on e5 takes away the f6-square for the knight and leaves the light-squared diagonal open for the bishop. This dream position is very common in e4 openings, too. Light-squared bishop on the b1-h7 diagonal to create mating threats on h7. Pawn on e5 v a pawn on e6. Suggested: you may like to study about the Corner Pawn Attack. Even though I have just described this position as if White were the aggressor, the same rules apply for Black. This means that for Black, the dark-squared bishop (on the b8-h2 diagonal) along with a pawn on e4 v a pawn on e3 are the most important factors. On the queenside, the position changes significantly if White/Black does not possess a c-pawn. 1. Control over the d-file. This stops White’s king from escaping toward the centre/kingside. In the following game, both sides will attempt to reach their dream positions. Because each is attacking, the most important thing is always to create a threat. The first opponent to stop attacking and start defending will lose. This is a very old way of playing against the Nimzo-Indian Defence. Looking at these initial moves, we can see that Black clearly wants to castle on the kingside. White is just one move from being able to castle on the queenside. This opening is not played currently because White usually ends up behind in development. Both players have castled on opposite sides. Knowing both players’ plans, what should Black play? Earlier, we discussed how Black wants to open the d-file. This move allows that to happen and forces White to take on c4. The queen on c4 will be very vulnerable and Black will be able to gain tempo by placing rooks on the c-file. If White captures with the bishop, 10…Na5 would win the light-squared bishop, which is the most crucial piece in the game because whoever controls the b1-h7 diagonal controls the pace of the game. Black is trying to capture the bishop. White will not allow this. White is slowly improving his position and starting an attack. White will attempt to play e4-e5 at some stage and continue with Bg5 and Qh4. Black must develop quickly and win time. Black intends to play 13…Ba6 and gain time. The bishop will be aggressively placed and Black will be able to activate his rooks. Black now forces White to give up his powerful light-squared bishop. White is threatening to play 17.e5 and is attacking the bishop on d3. It seems like Black is in trouble, but what powerful idea did he find? Black now seizes control of the d-file, which stops White’s king from escaping to the centre/kingside. While this move does not possess an immediate threat, White can’t capture the bishop and it pins the pawn on b2. Now the knight on c3 is hanging. We can see that Black is completely ignoring White’s attack. In this game, material is not important but activity is crucial. Black is bringing all his pieces into the attack and threatening Qxc3+. We can see that White is now forced to play defensively. Black must keep attacking. What is the winning plan? This game has been all about the b1-h7 diagonal. This move allows Black to play Qf5 and create powerful mating threats. The killing blow. 21.Qxb5 is met with …Rab8 and White can’t capture the queen because Black can capture on b2 with the bishop and that would be checkmate. This is why White decided to capture the bishop instead. Suggested: I’ve discussed about this topic (how to place pieces in my video lessons “Breaking stereotype” here. White resigned because he can’t stop checkmate. After 22.Qb3, Black can play …Rac8 and White can’t stop Qb1#. Whenever you reach opposite-side castling positions, make sure you prioritize activity. It is extremely rare that opposite-side castling positions don’t correlate with king assaults. Even in closed positions, both sides attempt to open it up. Make a plan before you start attacking. It is important to have a general idea of where you want to locate your pieces and what you want to do. Recognize your opponent’s weaknesses and how you can use your pieces to attack. Make sure you also understand your opponent’s plan. Create threats. The best way to attack is by creating threats while you develop. This way, you force your opponent to defend/worsen his position while you improve yours. P.S. What do you think about the idea of opposite-side castling in chess? Do you think that to “attack” is more powerful in such circumstances? Feel free to write in the comments below and discuss this. Planning is one of the MOST important skills in chess! Learn how to read the chessboard and plan like the pros. Get “Your Winning Plan” now – click HERE!